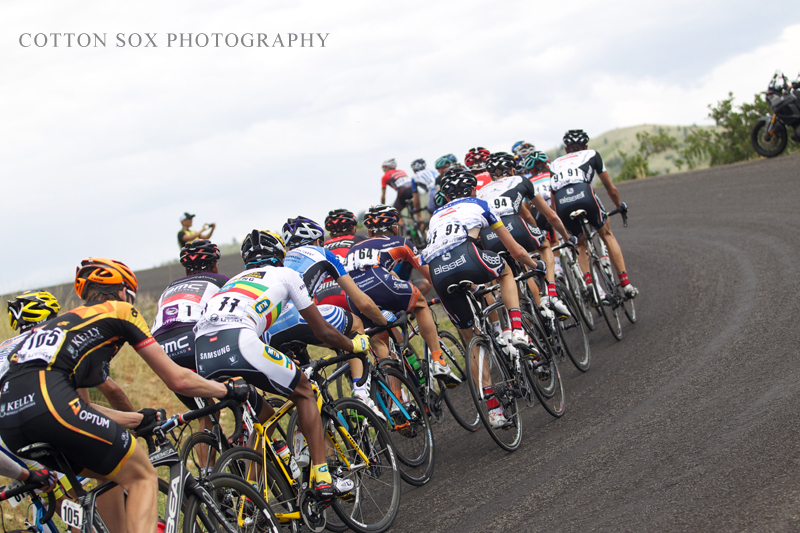 PAYSON, August 8, 2013– A valiant solo attack by Lachlan Morton (Australia) wasn’t expected to last. 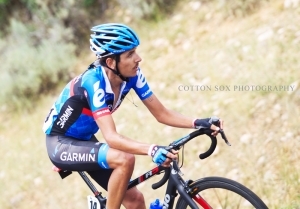 But the Team Garmin-Sharp rider made his move with nearly 25 miles to race and crossed the finish line alone and will wear the Larry H. Miller Dealerships yellow jersey with a thrilling victory in Stage Three presented by iON Camera in Payson. 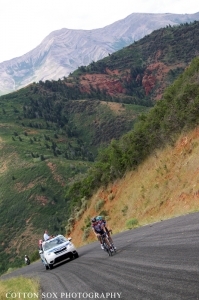 Morton soloed away from a large chase group as the ascended Mount Nebo, the highest and southernmost peak in the Wasatch Range and part of the Uinta-Wasatch-Cache National Forest, and then tracked down a two-man breakaway just before the summit. After catching his breath, Morton burst away from all others and held off a hard-charging chase group down Payson Canyon to take control of the race in front of enthusiastic crowds in Payson, crossing the line 34 seconds ahead of BMC Racing Team’s Greg Van Avermaet (Belgium) who won the sprint for second place. UnitedHealthcare’s Lucas Euser was third. The win gives the 21-year-old Morton a 22 second lead over Van Avermaet with Euser now sitting third, 40 seconds back. After cresting the summit and plummeting down the canyon toward the finish line, Morton learned his lead was holding and he had a shot at the win. But it’s a bonus that will carry with it extra weight as the Tour of Utah heads into the state’s capitol city for a short but violent circuit race downtown. The Ski Utah King of the Mountains jersey still belongs to Bissell Pro Cycling’s Michael Torckler and Van Avermaet is back in the XO Communications Sprint Leader ‘s jersey. Morton is also the Subaru Best Young Rider, but the jersey will be worn by Ehtiopia’s Grmay Tsabu Gebremaryam of MTN Qhubeka. The Vivint Most Aggressive Rider jersey was awarded to 5 Hour Energy/Kenda’s James Stemper. 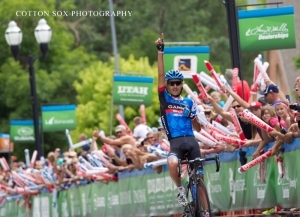 Friday is Stage Four presented by University of Utah Healthcare, a 33.8 mile circuit race through the heart of Salt Lake City. The 5-lap course passes the Utah State Capitol, through Salt Lake City’s Avenues neighborhood and down South Temple Street with about 3,500 feet of total elevation gain. Stage Four will begin at 5:30 p.m. MT. The peloton is expected to finish at approximately 6:45 p.m. MT. 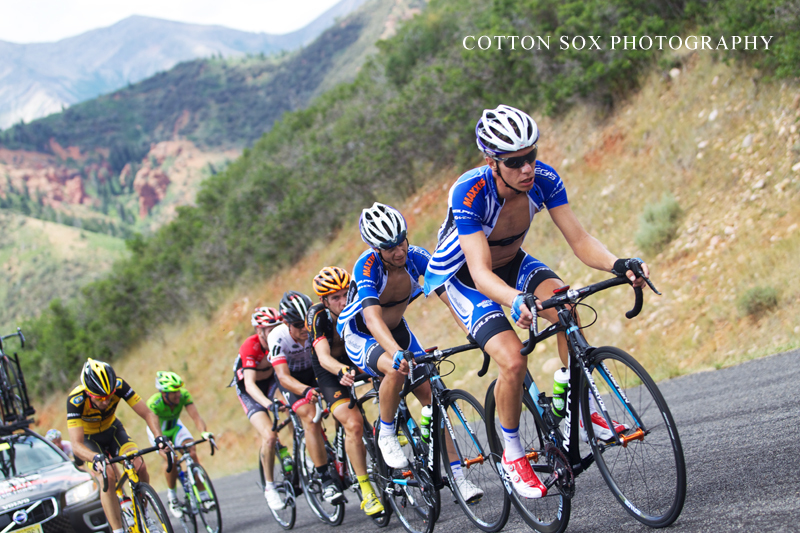 All race results are available online at www.tourofutah.com.